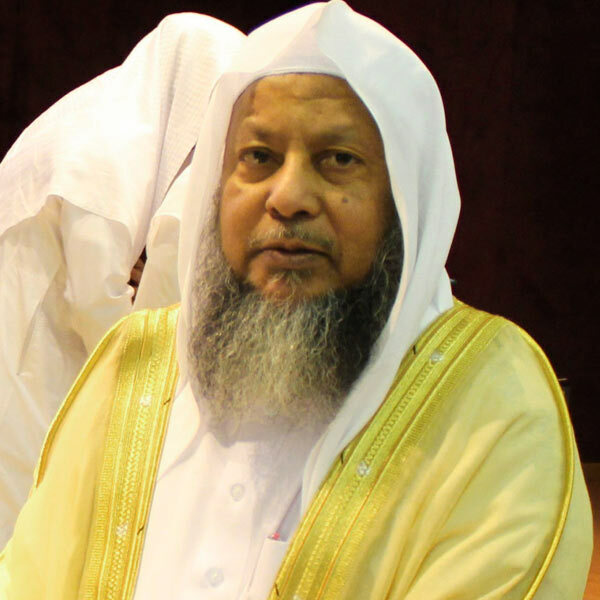 Mohammad Ayoub Ibn Mohammad Youssef Ibn Soulaiman `Umar is a Saudi Qur’an reciter and Imam. He was born in 1372 Hijri in Mecca, Saudi Arabia. Mohamed Ayoub grew up with the sound of the Qur’an. He had memorized the Book in Bin Laden Mosque from which he graduated in 1386. He joined the Scientific Institute of Medina soon after and left it with a degree in 1392. Later on, Mohamed entered the Islamic University where he earned his bachelor, master and doctorate in 1408. His Islamic studies started a little earlier. Supervised by eminent Saudi Sheikhs like Abdul-Aziz Mohammad `Uthman, Tantawi and Al Shanqkiti, Mohamed Ayoub profited from an accomplished, highly-qualified education. Professionally, Mohamed Ayoub first worked as assistant in the Faculty of Quran and then moved to a position of surveyor within the exams service of the same faculty which position he kept during ten years. Mohamed became member of the the King Fahd educational board and Scientific Committee for printing the Quran. Mohamed Ayoub had led prayers in numerous Saudi mosques like Al Anabiya (1394 to 1403), Qibaa’, Abdullah Al Housayni (1403) and the Prophet’s Mosque of Medina. A discography including many of Mohamed Ayoub’s recitations has been released across the Muslim world. Sheikh Muhammad died on the 16th of April 2016.